Lovaza (omega-3-acid ethyl esters) is a medication used to primarily lower triglyceride levels in individuals with very high triglyceride levels (equal to or greater than 500 mg/dL) in conjunction with a healthy diet. Although extremely elevated triglyceride levels can place you at risk of developing pancreatitis or having cardiovascular disease, studies have not examined Lovaza’s direct effect on these conditions. According to studies conducted to date, Lovaza can lower triglyceride levels by up to about 45% in individuals with triglyceride levels ranging between 500 and 2000 mg/dL. 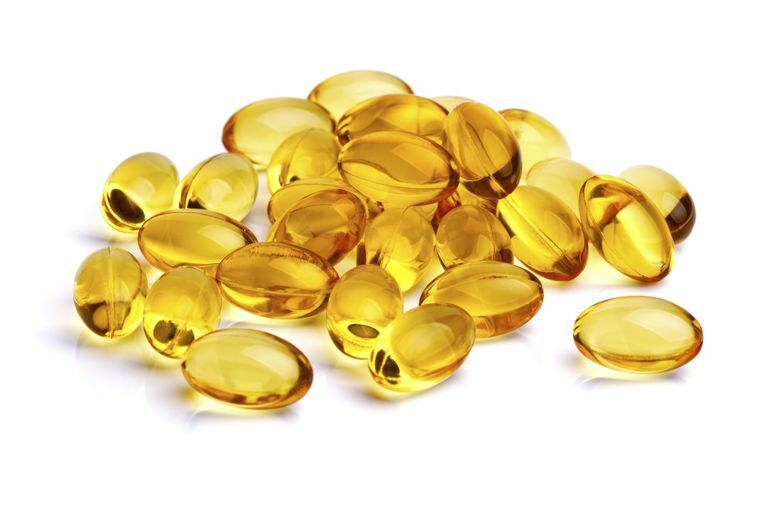 There are two types of omega-3 fatty acids contained in Lovaza — DHA (docosahexaenoic acid) and EPA (eicosapentaenoic acid). Lovaza differs from other over-the-counter omega-3 fatty acid preparations in that they have undergone extensive tests for effectiveness and safety. The omega-3 fats contained in Lovaza are also more concentrated in comparison to over-the-counter products. Lovaza was approved for use in the US by the FDA in November 2004. Formally known as Omacor, the name was changed to Lovaza in 2007 due to confusion with another medication, Amicar (aminocaproic acid). The mechanism by which Lovaza lowers triglycerides is not completely known. It is thought that Lovaza may help by reducing the number of triglycerides made in the liver since its components — DHA and EPA — are poor building blocks for making triglycerides. How Should You Take Lovaza? You should take Lovaza as directed by your healthcare provider. Although it isn’t specified whether or not you need to take Lovaza with or without food, Lovaza was taken with food in studies examining its safety and effectiveness. Typical doses include taking 4 grams daily — either as one dose of four 1,000 mg capsules or as two 1,000 mg capsules twice a day. Capsules should not be crushed or split and should be swallowed whole. While taking Lovaza, you should also be following a lipid-lowering diet. If you have liver disease or elevated liver enzymes, Lovaza could elevate your liver enzymes further. Your healthcare provider may monitor your liver enzymes while taking Lovaza. Lovaza has not been extensively studied in individuals with hepatic or kidney disease. If you have an allergy to fish or shellfish, you should not take Lovaza, since the omega-3 fatty acids used to make Lovaza are gathered from fish sources. Additionally, if you have an allergy to other ingredients in Lovaza, you should not take this medication. Because Lovaza may increase your LDL cholesterol, your healthcare provider may want to monitor your lipids during treatment with Lovaza — especially if your LDL levels are already elevated. If you are breastfeeding, you should let your healthcare provider know. Studies have shown that Lovaza can be expressed in breast milk. It is not known if this can have an effect on the infant if the breast milk is consumed. If you have been diagnosed with atrial fibrillation, Lovaza may cause you to experience a worsening of your condition. In studies, the likelihood of this occurring was usually noted during the first few months of therapy. Your healthcare provider may want to monitor you and adjust your medications if you experience more frequent episodes of atrial fibrillation or atrial flutter while taking Lovaza. Lovaza is listed in Pregnancy Category C. Adequate studies have not been conducted in pregnant women, so it is not known if Lovaza can have an effect on your pregnancy or your child. Animal studies have been conducted but are mixed — with some rat studies showing evidence of reduced survival of offspring to term when the mothers were taking at least 7 times more than the recommended human dose. Your healthcare provider will weigh the benefits to your health versus the possible risks to your unborn child when deciding to place you on Lovaza. Can Lovaza Interact With Any Medications? Anticoagulants or "blood thinners" — such as aspirin, Coumadin (warfarin), and Plavix (clopidogrel) — may increase the incidence of bleeding. If you take a medication to thin your blood, your healthcare provider may need to adjust your dose, monitor you more closely for side effects, or recommend that you discontinue one of the drugs. Lovaza is only indicated in individuals who have very high triglyceride levels, so your healthcare provider may decide to use lifestyle modifications and other methods to lower your triglycerides if they are only modestly elevated. When taking Lovaza, your healthcare provider will regularly monitor your triglycerides, LDL levels, liver enzymes, and other parameters to make sure that you are responding well to therapy and are not experiencing any side effects. Before taking Lovaza, you should let your healthcare provider know about any other medications you are taking — including herbal or over-the-counter products. Micromedex 2.0. Truven Health Analytics, Inc. Greenwood Village, CO. http://www.micromedexsolutions.com. Accessed February 10, 2016 Harris WS, Ginsberg HN, Arunakul N, et al: Safety and efficacy of Omacor in severe hypertriglyceridemia. J Cardiovasc Risk 1997; 4(5-6):385-391. What Are Bile Acid Sequestrants and How Do They Work?